Dentures can be conveniently removed. Dentures are a snap with our snap-in dentures! No longer do you need to worry about sticky denture glue. Our new snap-in dentures eliminate the need for messy adhesives. You can just snap them on and you’re good to go! We provide snap in dentures in Sun City, AZ. Also serving Peoria and Surprise, AZ. Snap-in dentures, also called snap on dentures, are a great alternative to traditional dentures. With snap-in dentures, you’re less likely to experience slippage. It can be pretty embarrassing when your teeth accidentally fall out. When you wear snap in dentures, you can feel confident that your teeth are securely in place. Smile freely again! Snap-in dentures are dentures that are anchored to multiple implant posts using titanium rods. Your implant-supported dentures will snap onto the heads of the implant posts, providing greater stability and security for you. What are the benefits of snap in dentures? With snap-in dentures, you can reclaim your life. 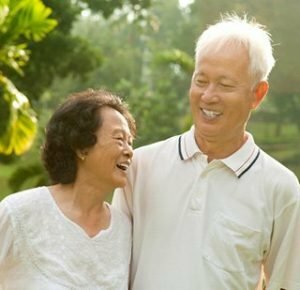 You’ll be able to chew, eat, speak, laugh, and smile again without fear that your dentures will slip off. These dentures are conveniently removable. You can take them out for easy cleaning and maintenance. These dentures can also restore your self-confidence. With a fully functional smile, you can grin again. Your dentures will be customized to match your teeth and complement your facial structure. Your peers shouldn’t be able to tell they’re false teeth! How much do snap in dentures cost? 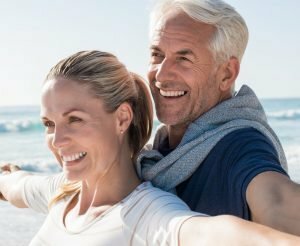 At Wildflower Dental, we offer all-inclusive pricing with our snap in dentures that includes the procedure, extraction, and sedation. With 0% financing available, this deal starts as low as $6,500! 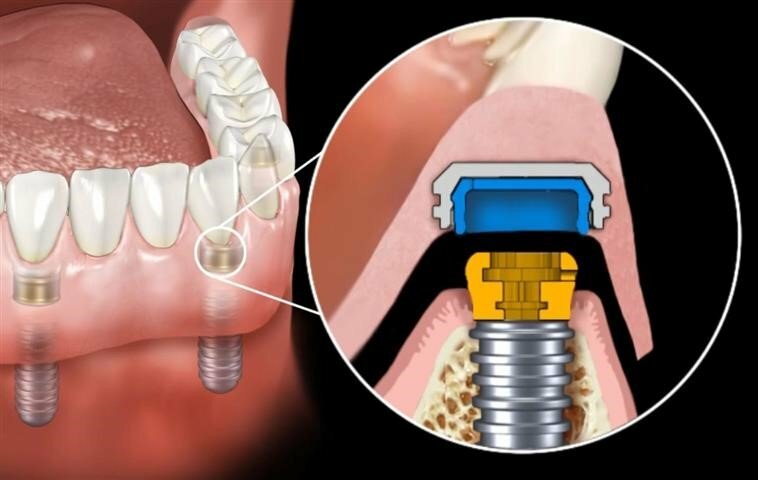 We even include a lifetime implant warranty, so in the unlikely event that something does go wrong, we can fix it! Call our Sun City AZ office to learn more about snap-in dentures! We would be happy to answer any questions you may have. Contact us today to schedule your appointment! What Makes Wildflower Dental The Top Choice For All Of Your Dental Implant Needs? Dr. Cho is a Fellow of the International Congress of Oral Implantologists and has additional training and years of experience in placing all types of implants from single dental implants to full mouth restorations. As an option, I.V. Sedation or Oral Conscious Sedation is available to ensure the most comfortable and relaxing dental visit you’ve ever had. This means we can take care of ALL of your treatment in one office with no referrals or additional fees. Given to our All-on-4 patients. The kit includes: a Waterpik, a Sonicare Tooth brush, a free Nightguard, and $100’s of dollars in free services. Last but not least, our staff strives to make every patient feel safe and welcome. Check our reviews below to see what our patients are saying about us….